Following on from reissues of Basia Trzetrzelewska’s Time and Tide and London Warsaw New York, Cherry Red will reissue Basia‘s third album The Sweetest Illusion as a three-CD deluxe set later this month. The Sweetest Illusion was originally released in 1994 and was the last studio album issued on the Epic label. This new triple-disc deluxe set includes the original album, all the remixes of both singles (Drunk On Love and Third Time Lucky) as well as a complete instrumental version of the long-player (nearly all previously unreleased). Sony issued the live album Basia On Broadway in 1995 but – greatest hits sets aside – Basia would not issue another studio album until 2009’s It’s That Girl Again. Basia first came to prominence with her singing role in Matt Bianco, whose 1984 debut Whose Side Are You On, was reissued earlier this year. The Sweetest Illusion 3CD deluxe edition is released on 25 November 2016. Woaw ! 3 Cds! I thought there was going to be only a 2 Cds, as the 2 previous reissues … big news ! Nice to see this album also released. All we need now is a DVD with all the music videos and maybe also some live material. That would make a good package if they decided to do a re-release of Basia on Broadway–bundling it with a disc of videos. Is the Half A Minute (Remix) the Steve Anderson DMC remix? Yes, agree! The other two Matt Bianco albums; second album “Matt Bianco” and the third album “Indigo” will be fine reissues! This is a must have. I adore this album. ‘Yearning’ is as sumptuous as a taking a warm bath of melted chocolate in a bordello on Mars. 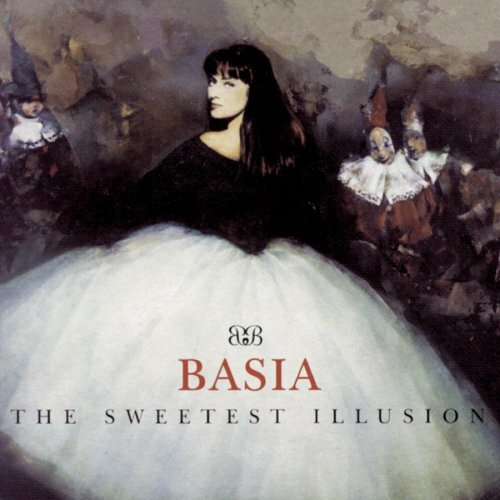 It’s nice to see that this reissue of The Sweetest Illusion also includes the new songs that appeared on Clear Horizon, Basia’s 1998 greatest hits CD from Epic (tracks 2-5 on Disc 2).